There are lots of options on the market for kitchen countertops, but 10 materials comprise the majority of countertops in residential kitchens. Consider the pros and cons of each type, and follow the links to learn more about each type when making your own decision. For some time, granite has been the countertop material of choice when there are no other things to think about—such as money. Granite defines elegance in a kitchen. 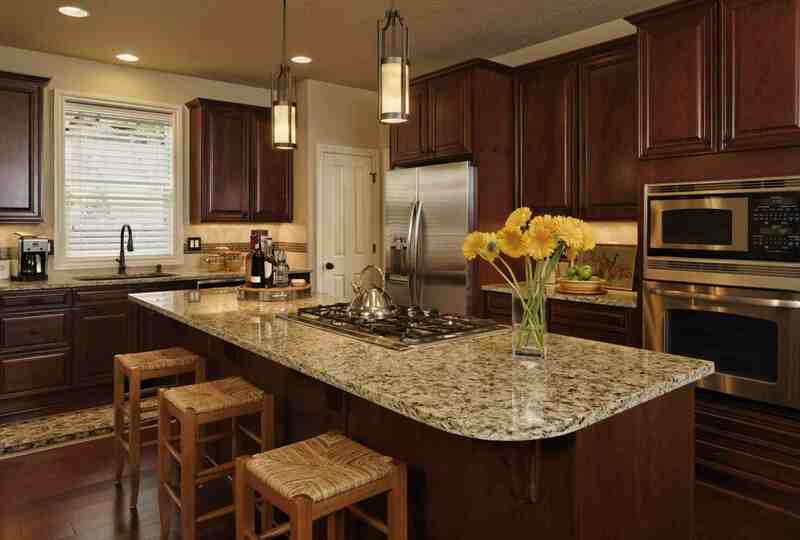 Even modest kitchens seem like luxury spaces when flavored by the beauty of granite countertops. Historically, granite has been an expensive material, but its cost has come down somewhat as supplies have increased and engineered stone has become more common. Soapstone is another natural stone, usually dark gray in color with a smooth, silky feel. It has seen a recent resurgence as an alternative to granite. Soapstone is often seen in historic homes but is also used in modern homes as both a countertop and sink material. Over time, soapstone takes on an antique-like patina that can be very attractive in certain kitchen styles. Another natural stone commonly used in kitchen countertops is marble. Because no two sheets of marble are exactly the same, each marble countertop will be entirely unique. Because of its extremely high price tag, marble is not often seen on the countertops of whole kitchens. More often, its luxurious look is limited to use on an island or section of countertop reserved as a baking center. 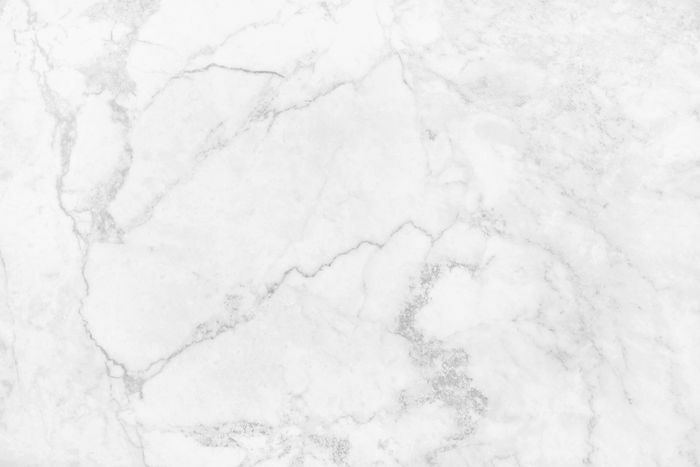 Although highly prized, marble may not be the best choice for kitchens, due to its penchant for staining and scratching. Newer sealers can reduce the upkeep on marble, but this is a considerably more temperamental stone than granite or soapstone. The countertop material known as "quartz" is actually an engineered stone product that contains as much as 93 percent quartz particles and other minerals, shaped into slabs and bound with resins. These are not solid quartz slabs produced by quarrying. Sold by companies such as DuPont Zodiaq, LG Viatera, Cambria, and Silestone, quartz was created as a more adaptable and better-performing alternative to granite and marble. It is available in a larger range of colors than granite and has a nonporous surface that resists both scratching and staining. Some types are convincing copies of natural marble, with similar veining. Unlike natural stone, engineered quartz requires no annual sealing. Similar technology is now being used in so-called glass countertops, which consist of particles of recycled glass blended with resins and shaped into countertop slabs. Consumers keen on being on the cutting edge may want to consider glass as well as quartz countertops. Solid-surface material, sold under brands including Avonite, Corian, and Swanstone, is a man-made material consisting of a blend of acrylic particles and resins that are pressed into sheets and other shapes. Solid-surface countertops and sinks have now been around for nearly 50 years, but at the time of introduction, they were regarded as space-age alternatives to natural stone, which they sought to mimic. Once regarded as premium, luxury countertops, solid-surface material is now considered somewhat mid-tier, but it is still an excellent choice for mid-range kitchens. It can also be a good material in high-end kitchens with a lot of countertop space that would be prohibitively expensive to cover with granite or quartz. Ceramic tile is durable and easy to clean, and it is considerably less expensive than natural stone, quartz, or solid-surface countertops, especially for DIYers willing to do their own work. Laminate counters bear trademarks such as Formica, Nevamar, and Wilsonart. The laminates are plastic-coated synthetics with a smooth surface that's easy to clean. Countertops are made by bonding the laminate sheets to a particleboard (MDF) core. Laminate countertops can be purchased as pre-formed segments (called post-form countertops), or custom-fabricated to specifications, either on-site or in a fabrication shop. Although for many years regarded as ​a poor cousin to more premium countertop materials, laminates have seen a recent surge in popularity, thanks in part to the thousands of colors, patterns, and styles now available. Laminates are especially popular in retro designs, particular mid-century modern kitchens. Wood countertops offer a beautiful warm look and are available in a wide range of colors and finishes. Hardwoods such as maple and oak are the species most often used as countertop woods. For a really contemporary and industrial look for your kitchen, stainless steel is a good choice. Stainless steel countertops are heat resistant and durable. Because they're constructed to your specifications, you can have a seamless countertop. If you have countertops in unusual shapes, or if you want a truly unique kitchen, concrete may be a good choice for your countertops. Due to their heavy weight, concrete countertops are usually cast in forms right in your kitchen. These are not the same kind of concrete slabs used in sidewalks, but highly polished slabs that may even be textured or acid-stained to produce colors. Although concrete can be subject to cracking, new treatments can reduce this tendency. The porousness of concrete can be reduced with additives.